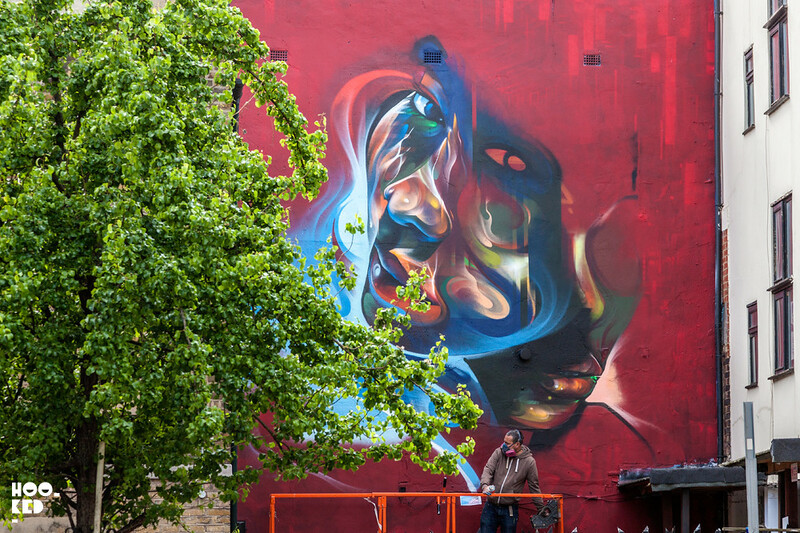 London-based graffiti artist Mr Cenz (Previously on Hookedblog) has recently completed work on one of his larger murals we have seen from him in awhile in East London. 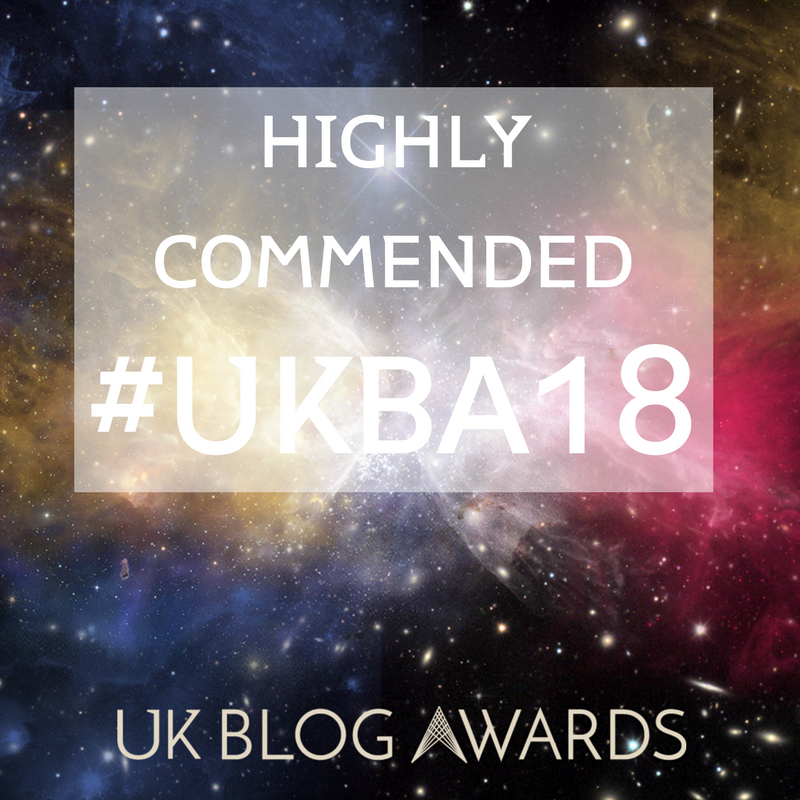 The artist has been super busy of late, we recently featured the artist on the site following his refresh of one of his long-standing spots on Fashion street which the artist refreshes on a frequent basis. 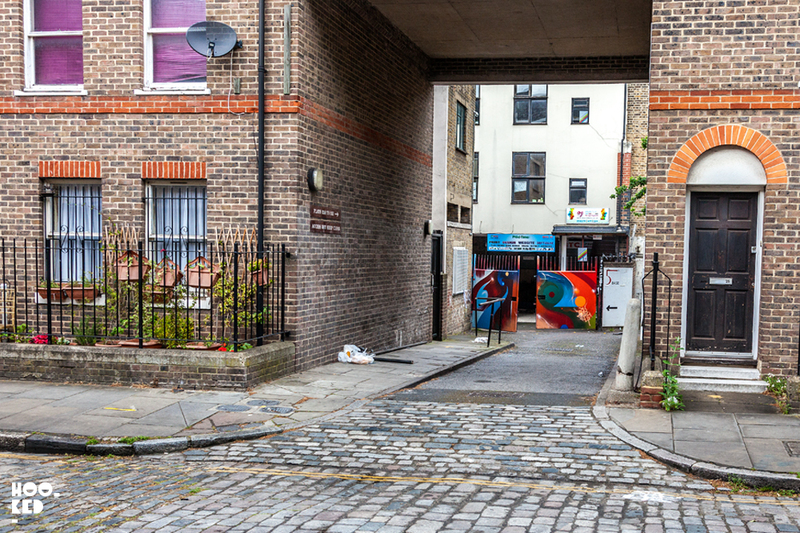 We have also spotted what looks like a commissioned piece by the artist inside the recently open Quaker Street cafe, on Quaker street just a stone's throw from Shoreditch Overground Station. 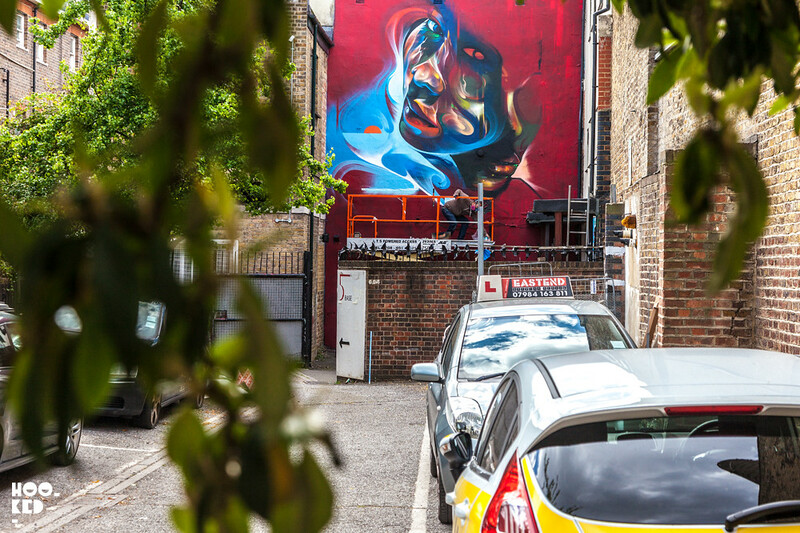 Elsewhere in London Mr Cenz caught up with our Walthamstow friends Woodstreet Walls (Previously on Hookedblog) and has added another wall to the E17 neighbourhood which we have yet to see in person. 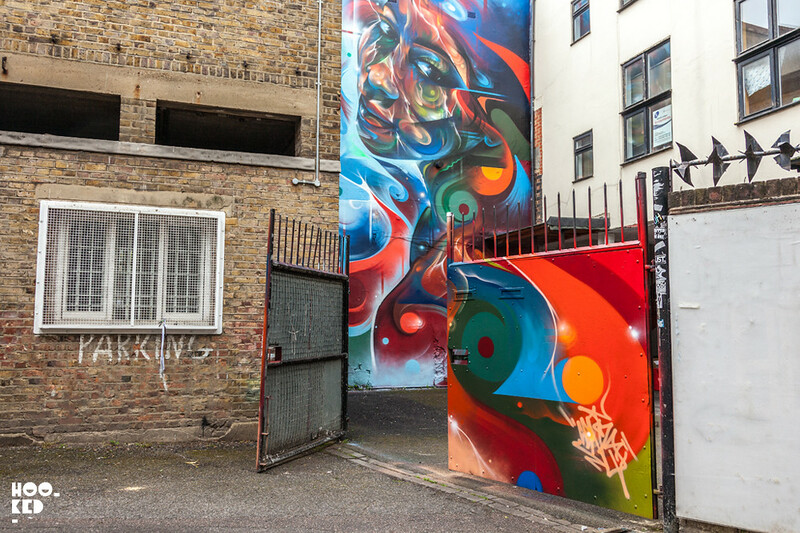 Following his Walthamstow mural, Mr Cenz was back in East London and spent four days working on this large mural tucked away on a little side street off the beaten street art tour route path. We caught a few work in progress photos in its early stages where you can see Mr Cenz had altered the mural as he was working out what would best work at the location. 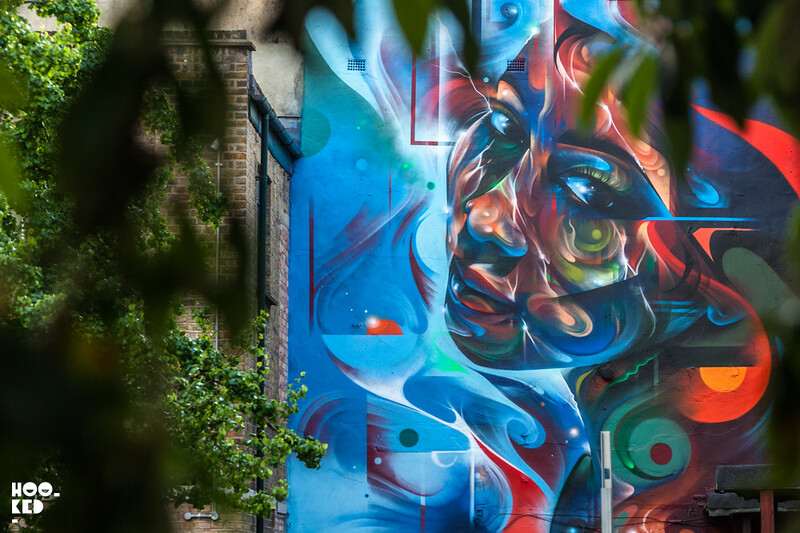 Check out a selection of our images of the finished mural below and for those of you wanting to check out the impressive new work in person, you can find the work just off Heneage street off Brick Lane. If you manage to find the larger scale Phlegm mural(Previously on Hookedblog) at the basketball court, the Mr Cenz is located opposite. 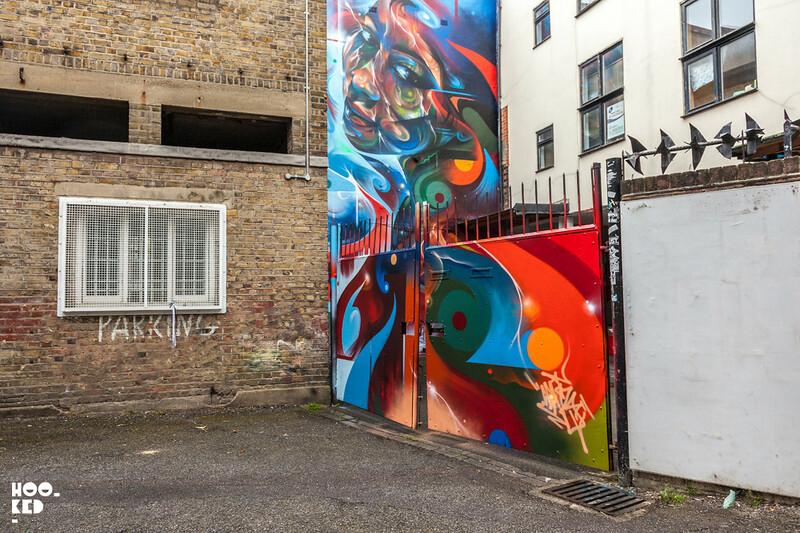 Head about half way down Heneage Street away from Brick Lane and take a left down this side street to see the newest Mr. Cenz mural on the wall of the 5th base Gallery. 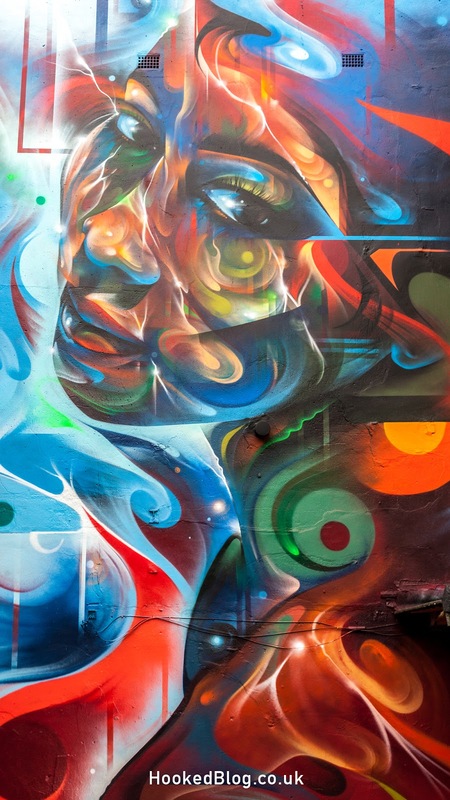 Mr Cenz at work one his latest mural. After a number of visits to the murals location, we finally managed to photograph the new mural with no cars obstructing the wall or the gates which Mr Cenz has also painted allowing us to shoot the entire work! 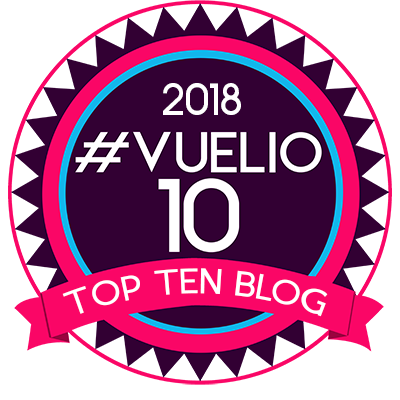 If you enjoyed this post why not share it, or for for those of you on Pinterest go on and Pin It to your Street Art Board! 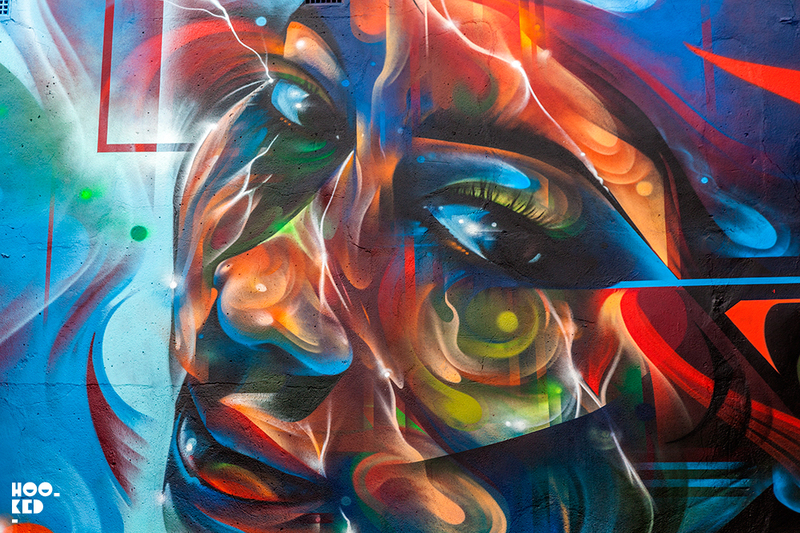 Striking London Mural by Graffiti Artist Mr Cenz. 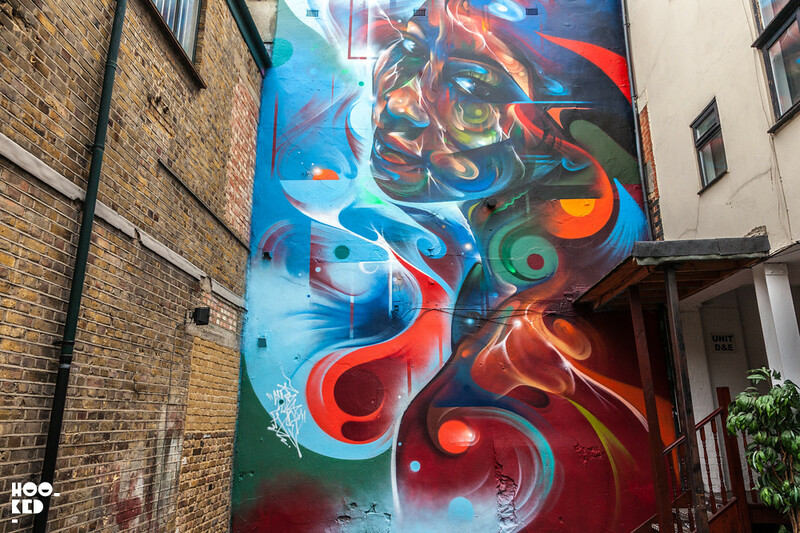 Vibrant New Mural by London Artist Mr Cenz.